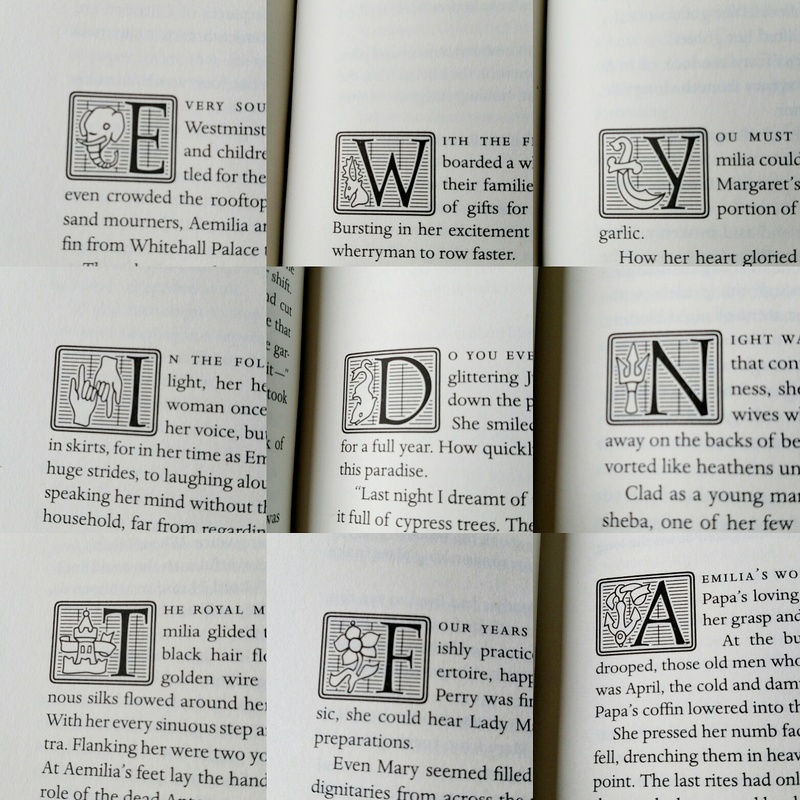 My offering for today's Wordless Wednesday is a sampling of the lovely dropcaps from Mary Sharratt's The Dark Lady's Mask. It's about Elizabethan poet Aemilia Lanier, an intriguing figure who might have been the muse William Shakespeare refers to in his sonnets. I love small touches like this in books, and it provides a touch of whimsy and magic to this rather intense, but delicious, novel. 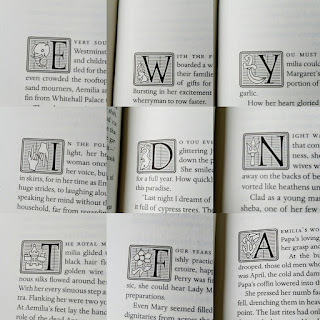 Link your Wordless Wednesday if you've got something, or tell me what you're reading right now! I love touches like that too. That book looks gorgeous! I love this kind of thing too!